I took an unscheduled break from blogging over the past two months. So much has been going on at home, and almost nothing outside, but it has completely wrapped it’s arms around my typing and not allowed a single word to be written in 60+ days. I last wrote that lots of stuff was going on at home. That is still going on, but we’re at least moving forward. Our kids are back in school and Sue has both prepped for and run her company’s annual meeting for their worldwide body of participants. They were in Disney while we were fighting another snow storm, but we both got through the events of the past few months. 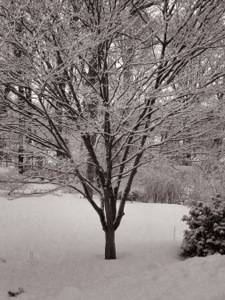 It has snowed here for five months now, but common in New England. We’ve skipped snow in March so far, but it’s only the 4th of the month so there are still a few more weeks until we’re out of the water. Winter has decided to stick around for at least a while longer. Of course, we do live in New England, so it is certainly expected that by mid-February that winter is far from being over. My wife has determined that The Farmer’s Almanac has been spot on for this winter and that we’re scheduled to have a huge late winter storm while she is in Florida in late March. I certainly hope that the Almanac is wrong on this one. At least this morning’s snow is light and under an inch, sure to be gone by mid-day and certainly not sufficient to shovel. I headed to Boston late on Thursday to pick up my youngest who came home for a long weekend. She’ll head back on Sunday via a classmate that lives near Boston. Using Boston as a point of transfer (via friend or the MBTA / Amtrak system) is significantly more convenient than heading up I-495 and into Maine. It not only saves gas and tolls, but hours of driving. I do love that I get to pick her up more than drop her off. Picking her up is always filled with joy, warm hugs, and a drive that allows us to catch up. Dropping her off is still tough for me, although getting easier as I see that she is happier as time goes on. I should be very glad that she finds home so comforting and desirable as a destination, but know that I need to be the supportive parent that wants to kick her out of the proverbial nest for her own growth and her own good. But, she remains, and always be my baby girl. Our son started work at a large sporting goods company (outfitter) recently. While he is a full time student at our local community college, he’s been working 20+ hours each week at the store. So far, he is thrilled with what he is doing although finding the life balance a bit challenging. I feel for him, but know that both his mom and I have done the exact same thing and he will figure it all out. I suspect that he will do his best to continue working there for some time after he graduates while waiting for another, more permanent opportunity. I also have no doubt that his employer is thrilled to have him working there – he follows the rules to the letter and goes above and beyond what anyone expects. One thing that we have noticed this winter, unlike others, is that we have actually taken a few days (or late part of some days) to just, sorry for the pun, chill. We’ve watched a few movies on TV, gone to bed a bit earlier, and even skipped the gym a time or two to sleep in. All in all, we’ve settled into late winter and are ready for spring to come as soon as Mother Nature allows – we’re just not in a hurry this year. And that is a nice change. Since we moved to Connecticut, it has seemingly been a non-stop roller coaster of work. Putting our feet up and relaxing has been done so rarely that it just seems to no longer be a part of our life. This weekend was no exception. We both worked late on Friday, followed by the gym for me and late work for Sue, we came home and pretty much collapsed. We did make it to bed fairly early Friday but then went pretty much non-stop all of Saturday. I spent the afternoon raking the front yard so that I could mow the portion where I need to use the standard mower. I didn’t have time to actually mow that section because I was called away to move furniture. Late in the afternoon, we met her Mom and Jake at the Arbors (her mom’s new residence), then took the newly purchased furniture up to her mom’s new place. We had to go in through the front door because it was dinnertime and you cannot bring furniture through the dining room during a meal time. So we manhandled the pieces in several trips up the main elevator, moved around the furniture and got it settled. We finally left around 6:15 so I could then mow the section of the lawn previously cleared, throw on our costumes, and head to a halloween party from a co-worker. Of course, we were late getting to the party and were both exhausted, but had a fun time nonetheless. Sunday, Sue went to church to sing, attending a lengthy service followed by a choir meeting, and I worked around the house. When she got home, we both headed outside to attack the leaves in the rest of the yard and mow the section of the yard that hadn’t been mowed on Saturday. By the time we finished, it was nearly dark and we were pretty much exhausted again. Sue did take the time to cut my hair (long overdue) and we both got cleaned up for dinner. After a wonderful steak dinner, we finally got the chance to sit, but only long enough to collapse and drag our tired butts to bed. The next two weekends are pretty much a repeat of this one, with the non-stop nature of life. This week and weekend will be spent getting the house ready for a boatload of guests. We’re hanging a bunch of items on the wall (both ours that have not been re-hung since painting and new items we got from Sue’s Mom), and generally cleaning the house in preparation for visitors. Then, we’re heading on Saturday to another Halloween party hosted by a co-worker. It’s almost an hour away, so we’re heading up early so we’re not nearly as late as we were this weekend. In some aspects, I am looking forward to winter where the weather dictates that it’s too cold to work outside and that indoor projects aren’t a priority anymore. At least I can dream, right? As I write this, it’s Saturday night, exactly one week after losing power. We had a very unusual October snow, dumping almost a foot of very wet snow on large sections of New England. The real problem wasn’t the snow, but the fact that we still had most of the leaves on the trees. This creates a huge surface area to catch leaves and weigh down branches. We lost dozens of trees and many times more branches. The limbs took down our power, and with it our well (water), lights, heat, refrigeration, and, generally, life as we know it. I worked at about 50% of normal this week, maybe 30 hours in all. By itself, that is a major cut in what I normally do, but it felt very strange to have hours of most days allocated to tasks such as using a chainsaw, not protecting my company’s data from harm. Our house has been mostly dark, mostly cold, with a few limited assistances. Our next door neighbor is a construction worker, so has access to a large diesel generator. We were able to share it for the few days he and his family were in town. After his father got power, we got it to ourselves. That meant finding a way to haul diesel fuel from the gas station to home and finding a diesel gas can was a nearly impossible task. Thankfully, one store with them in stock was open early on Thursday morning – cash only, $12 for the can – a bargain! So we’ve been running the generator a few hours each day, powering the downstairs fridge and the freezer in the garage, plus a few CFL outfitted lights. We were drinking bottled water, showering at the high school or my office in MA, and going to bed early after working outside for hours every day. Without too many more details, it looks like power may be back on in a day or two. Today, line clearing crews took the trees off the lines in our neighborhood, making progress ahead of the line crews. It’s clear that lines will need to be restrung – the high power green-colored lines have been cut in multiple places on our street. So once we get power back, it’ll be a slow return to normal. We’ll need to re-purchase most perishable food and deal with the insurance. But, we’ll be warm, clean, and have running water. For these things, I will be thankful! 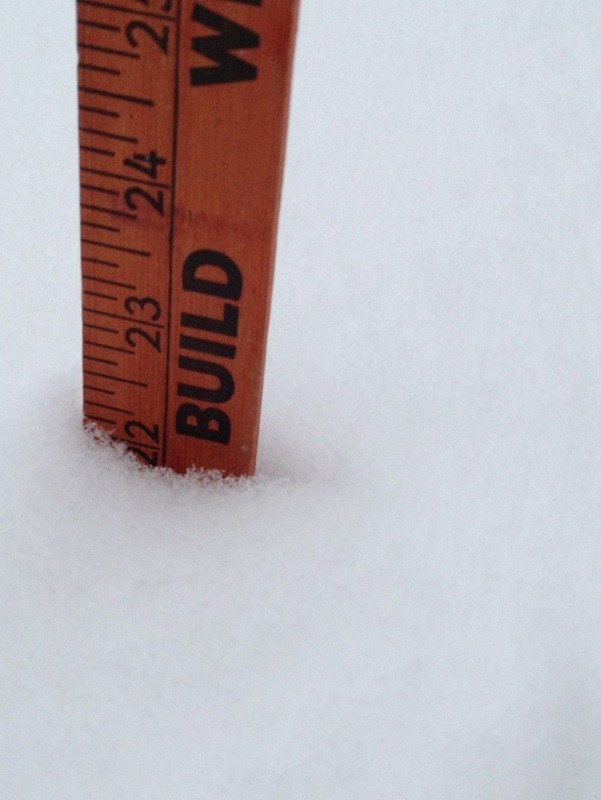 During the past month, 71.1 inches of snow has fallen at Bradley International Airport near Hartford. That is a short 10 or so miles from my home. Since the temps have been above freezing for the entire month (sans a couple of total hours), the snow that has fallen is still mostly here. I am actually running out of places to put the snow. The streets have become practically one-way streets and oncoming cars while you are attempting to pull out at a corner are accidents waiting to happen. So, my exercise over the past month has been largely relegated to snow shoveling. My arms have been getting quite the workout, and noted in the shower this morning that they have started getting some definition again. Running outside would be a dangerous activity as well, so that has been put on hold until at least a bit of thawing of the huge snowbanks helps increase my visibility. Even my attempts to make it to the gym have been foiled by the weather. Our gym even requests that you change shoes when you get to their facility – further proof of the terrible weather outside. On Wednesday, I had full intention to make it to my spinning class at our YMCA, but the roads were again a mess, making that an unwise trip. I could have found the car facility closed or my car in a ditch. Neither of these would have made me happy, so I opted to stay home. Thursday, another 12 inches of snow fell on my house, forcing a solid 90-minute effort to clear the driveway so I could take my wife to the airport that afternoon. A full day of work, albeit telecommuting, kept me quite busy for the day. Tomorrow, I will spin again for only the second time with the “new” instructor. I’m looking forward to a great aerobic hour and feeling like I have actually accomplished something during the month of January to help keep my legs, rather than just my biceps, in shape.